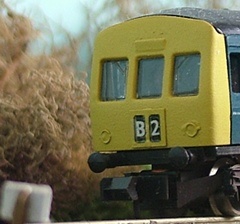 3D printed body for Wickham railbus 79965. One part shell and etched glue on underframe detail designed to fit a thinned down Kato four wheel chassis or a Tomix KIHA-02 railbus chassis. 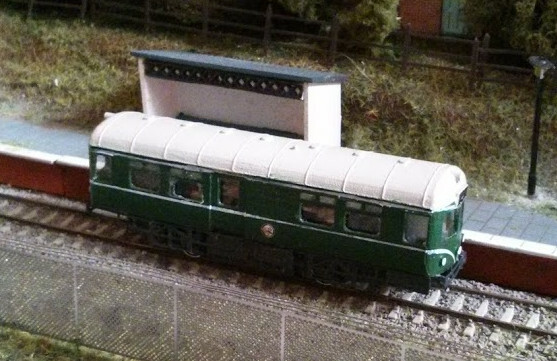 3D printed body for Wickham railbus 79966-79969. One part shell and etched glue on underframe detail designed to fit a thinned down Kato four wheel chassis or a Tomix KIHA-02 railbus chassis. 3D printed body for Wickham railbus Elliot. One part shell designed to fit a thinned down Kato four wheel chassis or Tomix railbus chassis. Pre-printed vinyl decals for this railbus will be available from Electra Railway Graphics. 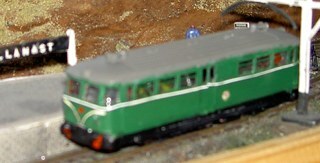 The picture shows the test railbus and vinyls. 3D printed body for Wickham railbus 79965 with interior detail and etched glue on underframe detail. Designed to fit the Tomix KIHA-02 railbus four wheel chassis. 3D printed body for Wickham railbus 79966-79969 with interior detail and etched glue on underframe detail. Designed to fit the Tomix KIHA-02 railbus four wheel chassis. 3D printed bodyshell set for the 1952 BUT/ACV (British Leyland/AEC) railbus. Consists of one driving motor brake second, one driving motor second and one trailer second in the original form with skirts. Suitable chassis include the old Trix railbus chassis set with the sides cut down or the Tomix 92157. Many narrow or narrowable chassis will work and the skirts will hide many things. Etched bodysides designed to fit between the cabs of the Minitrix German Railbus when making a conversion to the Waggon Und Maschinenbau British railbusses. Etched sides and ends only for a Derby lightweight single car unit. Designed to be used with the Masterclass Models resin roof and roof domes. 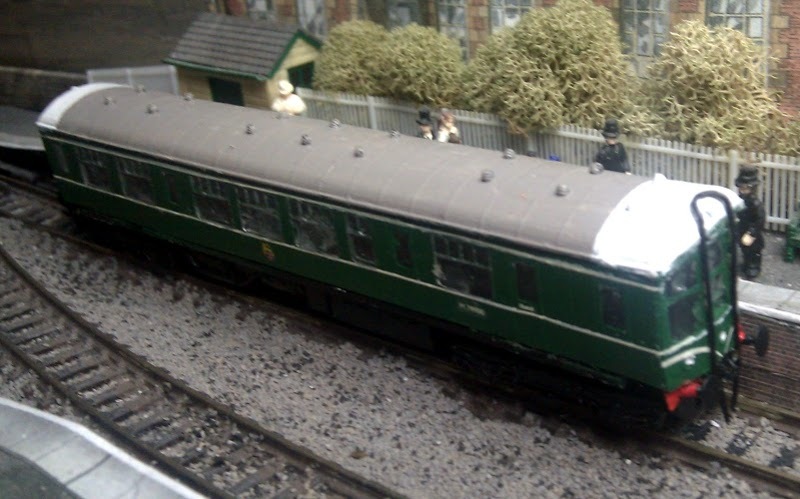 Will fit over a Farish (old type) 101 DMU chassis or similar. Etched ends for a Derby lightweight single car unit. Designed to be used with the Masterclass Models resin roof and roof domes and vinyl or similar sides. An etch contaning windscreen wipers, nose lamp overlay etches and a two digit headcode box overlay. Intended for detailing the old Farish 101 but suitable for many other projects.